Set in the middle of a beautiful forest, the Madeline Island Golf Club is a Robert Trent Jones, Sr., design with interesting holes such as 6 and 5 which share a fairway that splits off into doglegs in opposite directions. The course will delight novice players and yet challenge those more skilled. The Inn on Madeline Island is excited to work with The Madeline Island Golf Club to offer these golf packages at substantial savings. Book two nights lodging at The Marina Point Condominiums and play two rounds of 18 holes for $399/2 bedroom, $445/2 bedroom with loft. Golf cart included. Low season rates are $349/2 bedroom, $395/2 bedroom with loft. Available Sunday through Thursday, prices based on two guests. Discounts available for larger groups. 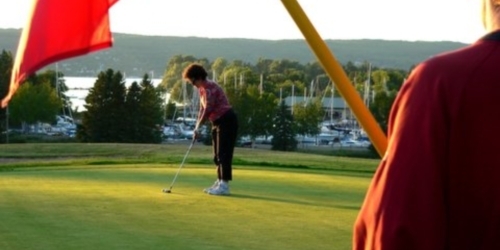 Madeline Island Golf Club reserves the right to change price and offer at anytime. Prices and offer are subject to change without notice. GolfTrips.com is not responsible for errors posted in this golf package.